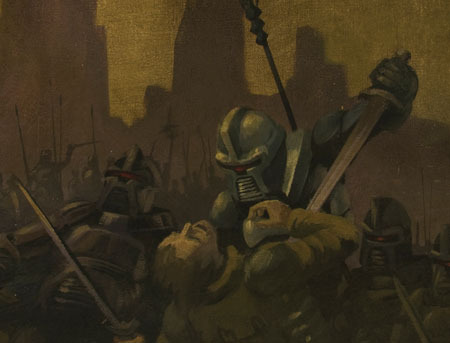 TVWise has uncovered some new details on the Battlestar Galactica prequel, Blood & Chrome. The Visual Effects for the 2 hour pilot were delivered last October, but Syfy is now mulling over whether to make the pilot into a full series. If the series is picked up, the network might hold onto it and release it as a first episode. One way or the other, this pilot will be released to viewers. I don’t know about everyone else, but I’m hoping this turns into a series. Forget Star Trek or Stargate, we are living in a future where you can’t even see spaceships on television. Does that sound like a world you want to live in? I would love to see some more BG!